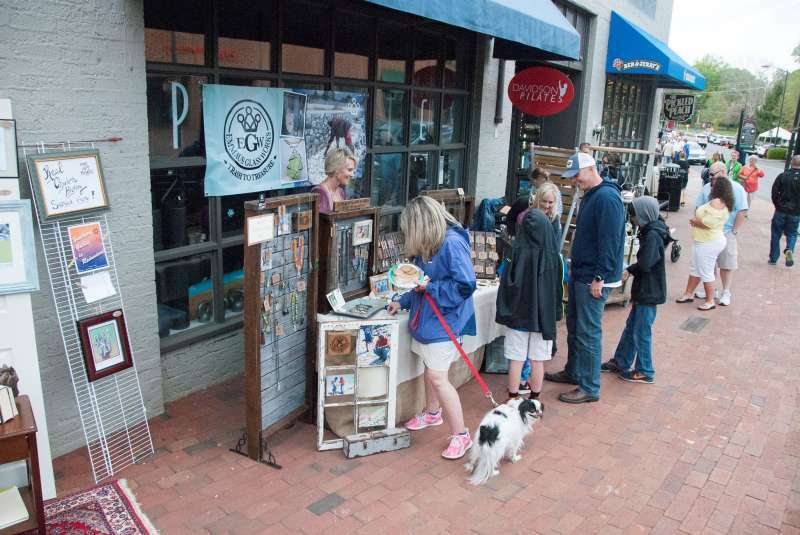 The Gallery Crawl is a great way to see art all over Davidson. Artists display their work in Davidson's establishments from our historic Main Street over to South Main Street and at the Circles @ 30. 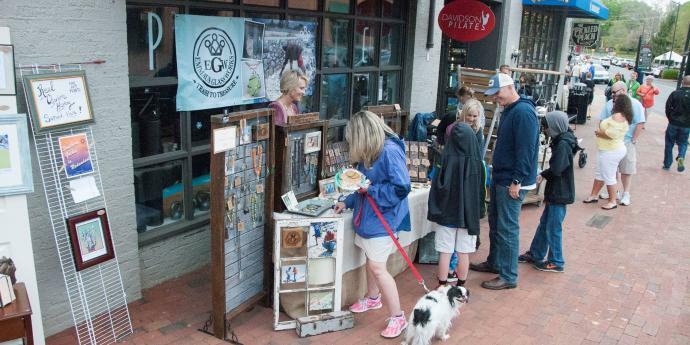 Galleries, businesses and town hall host visiting artists, including some that will be featured at Art on the Green April 27-28. Visitors can ride a trolley to all stops along the Crawl. Refreshments and music enhance the festivities. Please join us!